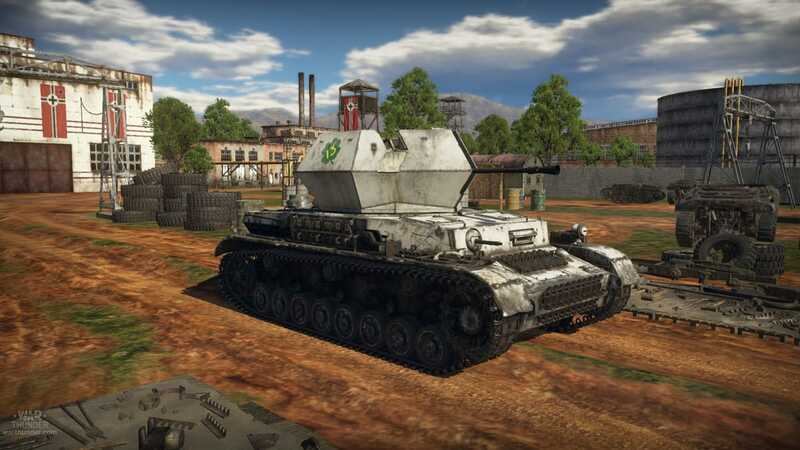 German BR 7.0 line in War Thunder with Jagdtiger and Horten. Today we are dealing with the German BR 7.0 line of War Thunder (realistic ground battles) and what should belong to it. Of course one thinks first of all to the Jagdtiger and the Horten Ho 219 V3 jet aircraft. 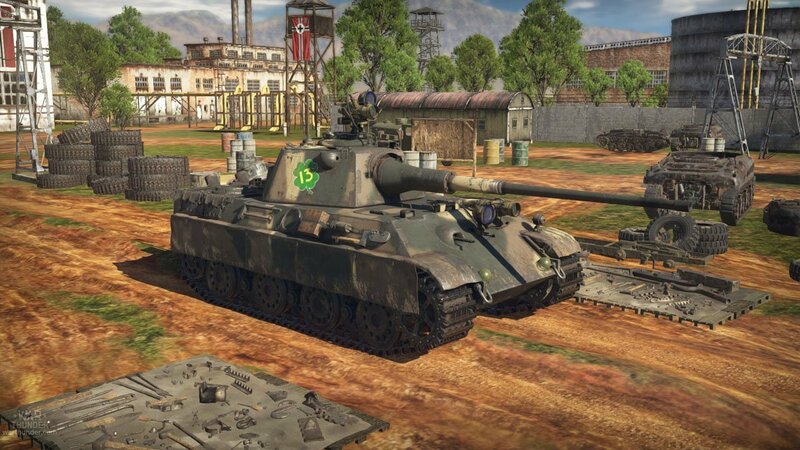 The Jagdtiger is one of the most powerful and effective vehicles in War Thunder, due to its powerful 128mm gun and strong frontal armour, which can not be penetrated by numerous enemy tanks. 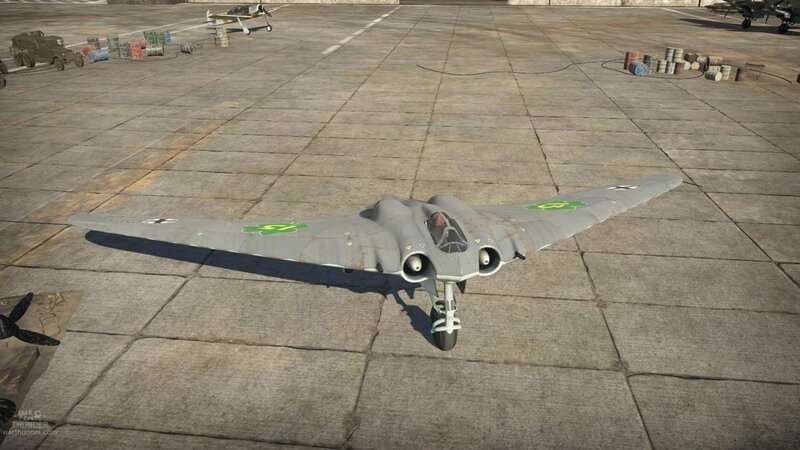 When used properly, the Horten is the ‘Star’ for the defensive playing style in a realistic ground battle of War Thunder. This includes careful selected positions to fire over longer distances, taking care that the heavy tank destroyer can’t be flanked since its armor can be easily penetrated from the side. His ‘best mate’ in the air above is the Horten jet aircraft, which appears like a bat, plunging down onto ground vehicles from above and hitting them with the powerful guns. Often, a vehicle can be completely knocked out, but in any case a targeted attack leads to damage and results in points for the player. Additional, the hit vehicle is marked on the small mini map and allied ground vehicles can easily destroy it, for which there are scores in the form of ‘kill assists’. How to create a successful German BR 7.0 line? 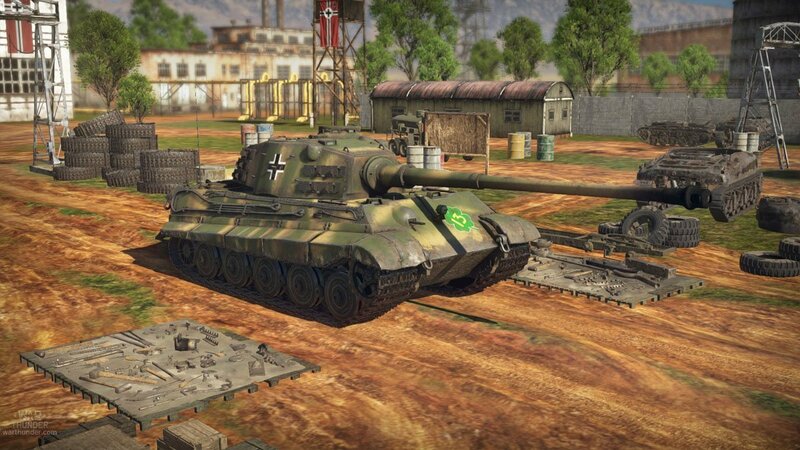 The Tiger II with a 10.5 cm gun is a better armed and more powerful variant of the King Tiger tank actually used in WW2. The larger explosive effect of the shells can turn off most enemy vehicles with a single shot. The anti-aircraft tank Coelian uses the Panther chassis and has a twin 3.7 cm AA-gun. Although the gun is not exactly suitable for fighting tanks because of the lower penetration, it is even more suitable for aircraft. Also, the Panther chassis provides greater speed and mobility as well as better protection. 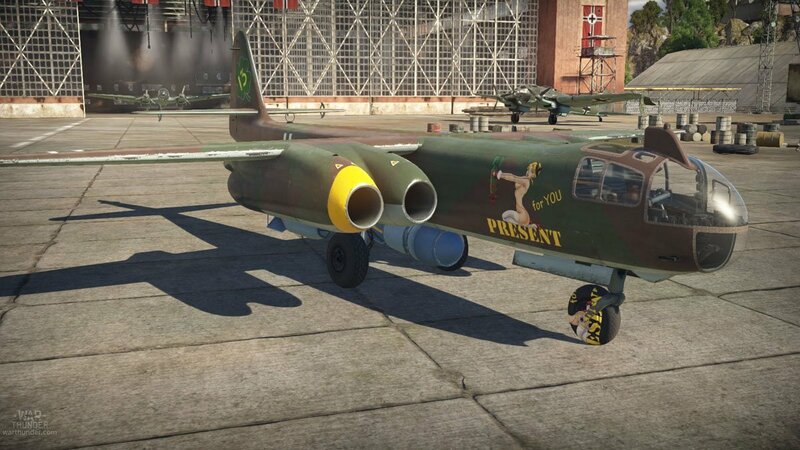 The jet bomber Arado Ar 234 C-3 was the twin-engine successor variant of the Arado Ar 234 Blitz, which was in use at the end of WW2. This bomber can not just named as an ‘addition’, however it has one of the best kill results of ground targets, has a frontal armament as well and is also so fast that you can easily keep most piston fighters at distance. The Panther II was not used in WW2. This medium battle tank is extremely fast, agile and armed with the long 8.8 cm gun. The Panther II is also very well suited to occupy the CAP zone(s) at the beginning of a battle in the conquest scenarios. The AA-tank Kugelblitz has a twin 2 cm AA-gun on the chassis of the PzKpfw IV. The armament of the vehicle is extremely powerful, both against air and ground targets. However, the armor on the basis of the Panzer IV is not particularly strong. 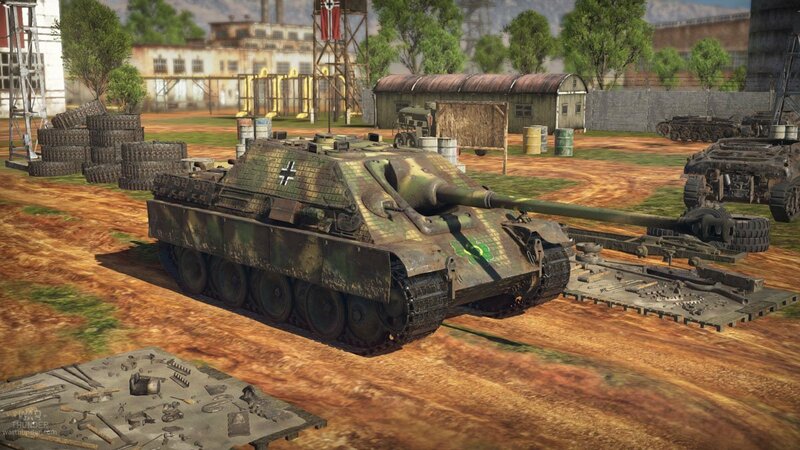 The Jagdpanther (here the premium version with improved engine and armor) is fast and mobile, also armed with the long 8.8 cm gun and well protected by its flattened front side. 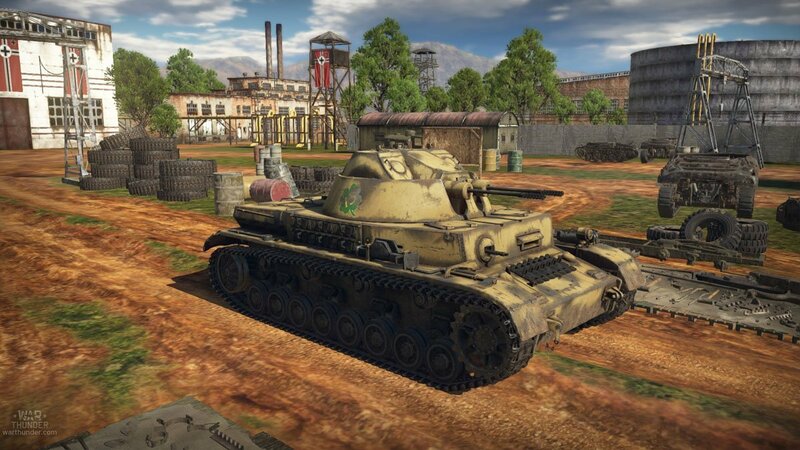 With this line, it is mainly used as the most favorable tank destroyer, since one BR (Battle Rating) below the current maximum value in a battle will allow to use it as a replacement vehicle for just 390 points. 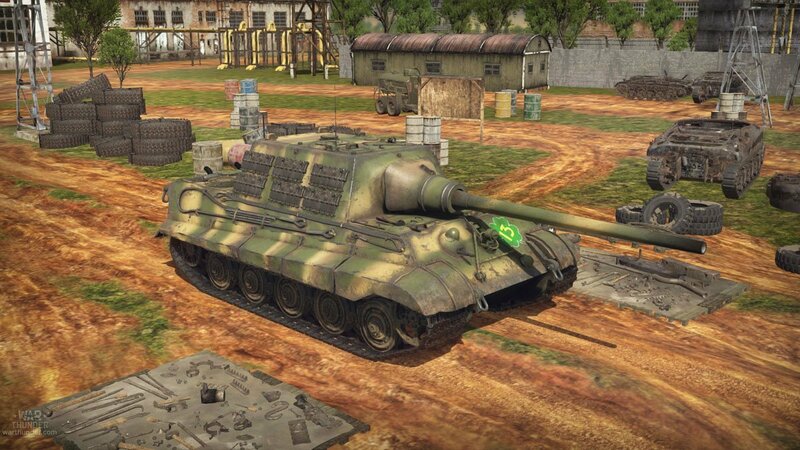 Alternatively, the standard Jagdpanther (the premium variant earns more from the in-game currency Silverlions and more research points for new vehicles) or the ‘Sture Emil’ (with this line actually optimal, as with BR 6.0 + 1 = 7.0) could be used. 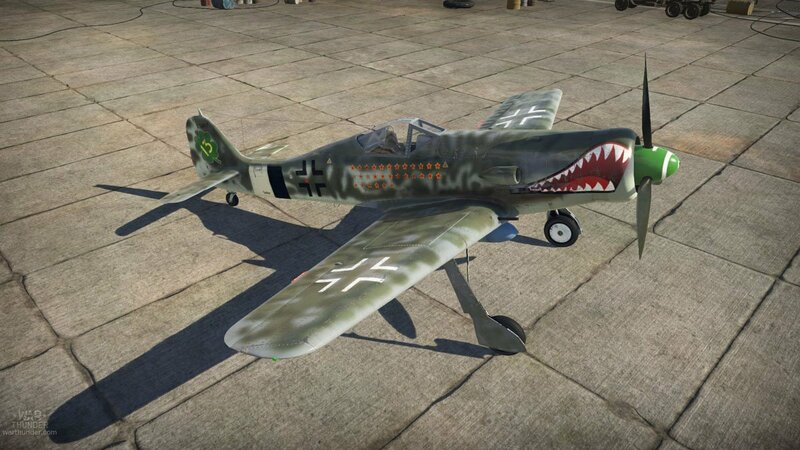 The fighter plane Fw 190 D-13 is the premium version of the famous Fw 190 Dora, which earns more Silverlions and research points for new aircrafts. Alternatively, the standard version can also be used. A fighter with a lower BR can be flown into the battle for just 480 points (without a bomb), which is especially useful if the combat on the ground is already lost. The aircraft also has a 500 kg (1,100 lb) bomb, which can easily destroy tanks. Because of the high speed and increased agility in air combat, the ‘Dora’ can sometimes even shot down a jet aircraft. The anti-aircraft tank Ostwind is the most favorable vehicle with which one could return to the battle if one is shot out. This is possible with only 150 points for a AA-tank, which is at least one BR lower than the battle takes place. 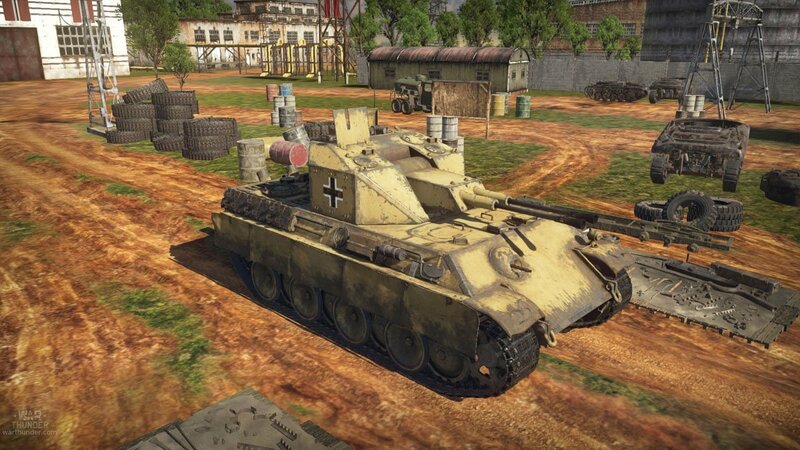 In this case, only the Ostwind (BR 4.7) is suitable for the German BR-7 line, since there is no other AA-tank up to the Kugelblitz (BR 6.7). Each player should have such a cheap anti-aircraft tank with his line, to be able to return in an emergency. Often, whole battles are lost only because the players of the own team are shoot out and still have enough points for such a vehicle, but do not carry it with them in their line. As a rule, make as many hits with a AA-tank as possible, and probably even killings, so that you can then intervene again with a significantly stronger tank, tank destroyer or aircraft, which could be the decision of the battle.